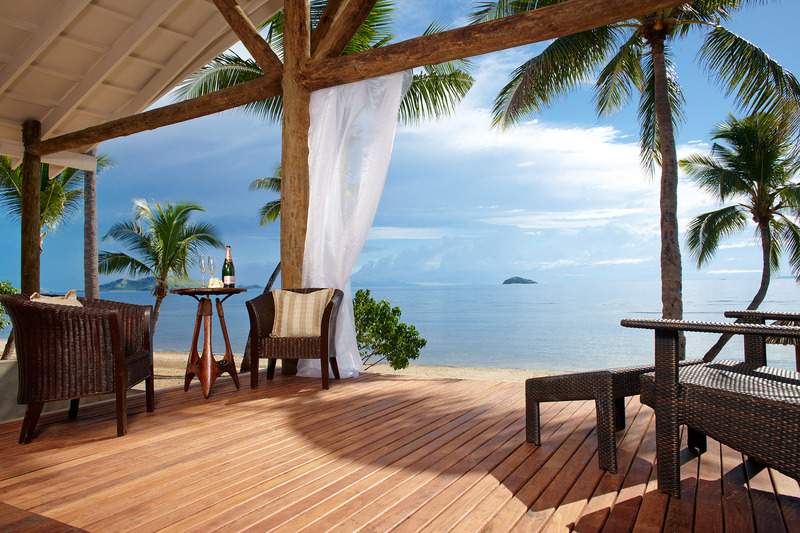 Blendng Fiji’s natural surrounds with lavish finishes were key to luxury resort Tadrai’s sumptuous interiors, created byaward-winning designers Hare + Klein. “We worked closely with the architect and our client to meet their brief of a seamless indoor-outdoor space that offers guests a unique and authentic experience. The traditional thatched-roof villas are scattered along the coastline, tucked away in the island’s foliage to create privacy and cohesion with their natural surrounds.” Said Meryl Hare, Hare + Klein, Director. The resort’s methodology was to construct a remote island escape with an emphasis on privacy and rustic luxury. The design of Tadrai is purposely casual and intimate. The indoor-outdoor aspect creates a natural connection between the interior and exterior spaces. consistency and space; the detailed joinery of each villa’s entertainment unit is continued outside in the design of the comfortable sun beds; and each ensuite is open to the outside elements, creating the ultimate indoor-outdoor experience. All aspects of the Resort have been designed with the natural environment in mind. provides a relaxed finish, and the colour palette contains neutral hues with bursts of vibrance to reflect the azure waters of the surrounding ocean. The final outcome is a set of lavish interiors that are perfectly placed against the spectacular backdrop of Mana Island. This entry was posted in Uncategorized and tagged Fiji, Islands, Luxury resort, Oceania, Resort, Tadrai Island Resort, Travel and Tourism. Bookmark the permalink.